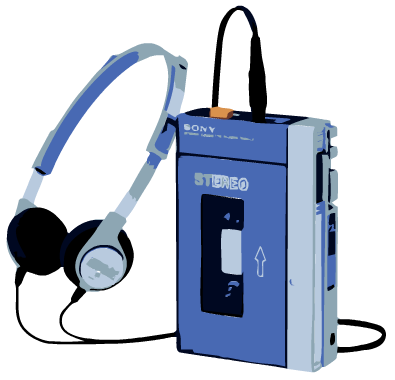 The Sony Walkman was introduced in 1978. It was the original personal music system and played audio cassette tapes. It represented the best miniaturised technology available and started a revolution in portable music. Its equivalent today is the iPod. 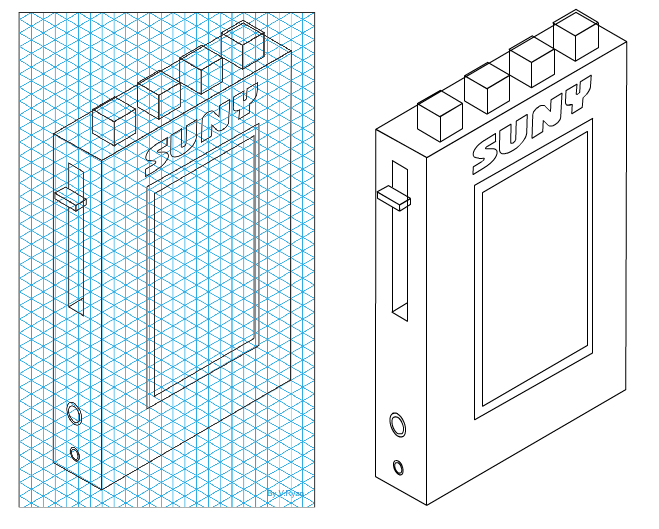 Use the grid below to help you draw an isometric presentation of a simple personal stereo made by a company called 'SUNY'. 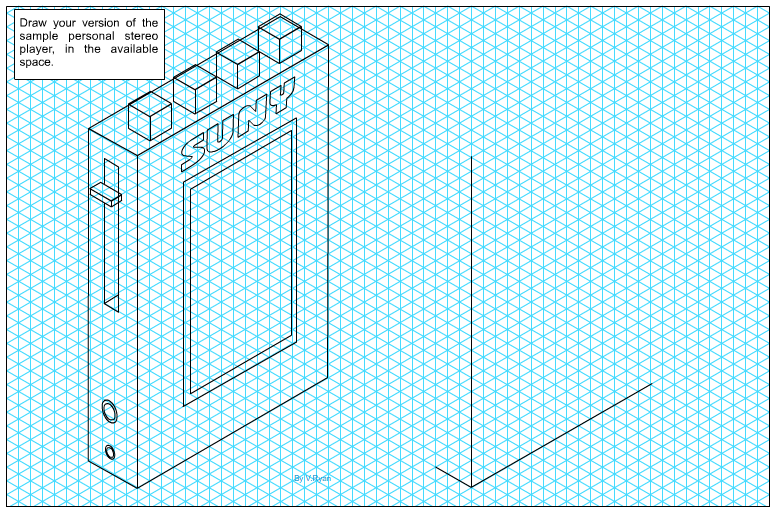 See the printing in isometric information sheet for help regarding printing in isometric. Using an isometric grid, makes drawing in 3D a little easier. Draw the basic cuboid shape, the outline of the personal stereo. Then add the buttons on the top. Add the volume slide and finally the manufacturers name. Add more detail if you feel it is necessary. Try drawing the personal stereo with the help of an isometric grid. Sketch the same personal stereo in isometric projection, estimating 30 degree angles. Then try drawing the same product on blank paper, using a T square and 30 degree set square. Draw a your own version of the original Sony Walkman. Use isometric grid paper or consider drawing your version on blank paper, using a T square and 30/60 degree set square. Add appropriate colour and shade. Draw another piece of equipment in isometric projection. Include detail.